Kevin Eyres is an Angel investor within the technologyspace, on the Board of Advisors for “Tech City UK” with the UK Government, Chairman of Spoonfed Media. Kevin has been responsible for the International operations of three Silicon Valley companies since arriving in Europe in 2000. He was the General Manager of AltaVista International spanning 14 countries. 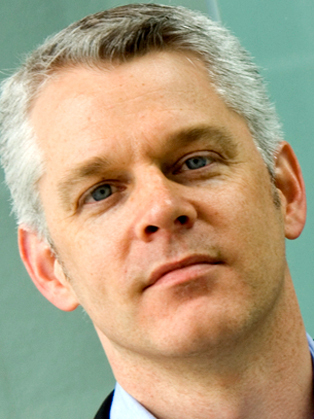 He joined SideStep, now Kayak, as Managing Director in 2005 and in 2007 was appointed Managing Director for LinkedIn. Both times Kevin joined the companies as their first employeeoutside the US. At LinkedIn, Kevin helped the then 14 million member base grow to over 100 million by April 2011. In this role, Kevin was instrumental in leading, developing and delivering LinkedIn’s international strategy and growth initiatives and under his leadership LinkedIn expanded into 8 countries. Kevin ranked 22nd in Wired Magazine’s “The Wired 100” in 2010, a listing that features the most influential people shaping the UK’s digital landscape. A US national, Kevin holds a BS in Mathematics and Computer Science from the University of Texas in San Antonio and holds six patents in communication technology. Kevin Eyres was Managing Director Europe at LinkedIn - focused on developing, leading and delivering LinkedIn's strategy and growth across the region. Kevin has over two decades experience in high tech. He has been European MD at SideStep, General Manager of AltaVista International and a Director at Shopping.com. He started out as an engineer at Compaq Computers, during their hyper growth phase. LinkedIn has become the world's leading business-focused social network. It has acquired over 100 million users across 200 countries, and ranks alongside Facebook and Twitter. It was also rated 10th in the 100 most valuable start-ups by Silicon Valley Insider. In presentations Kevin extols the virtues of working together to achieve big goals. Well versed in multi-cultural companies doing business throughout Europe and Asia, his speech themes include strategy, leadership and consumer marketing.